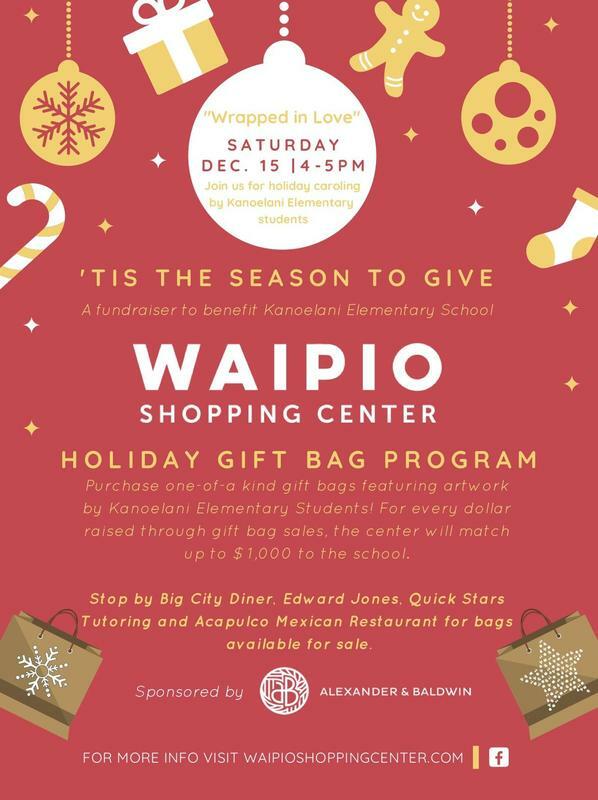 From December 1-15, please stop by Big City Diner, Edward Jones, Quick Stars Tutoring, and Acapulco Mexican Restaurant to purchase a one-of-a-kind gift bag created by our Kanoelani Elementary students. For every dollar raised through the gift bag sales, the center will match up to $1,000 to our school. Suggested donation is $2 per bag (no taxes) and the donations will go directly to our school. There will be a donation box at each participating merchant to drop money in.